VBoy Virtual Boy Wario Land (JPN/USA) in 19:19.5 by adelikat. 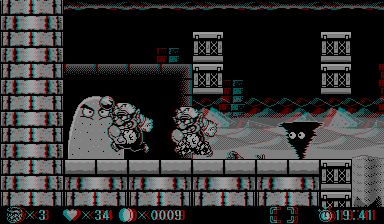 Virtual Boy Wario Land was a platformer released for the Virtual Boy system in 1995. The main objective of the game is to traverse the 14 levels. Each level has a key you must find in order to open up the next level. There are treasures hidden along the way. This TAS gets no treasures and thus achieves the "bad ending".